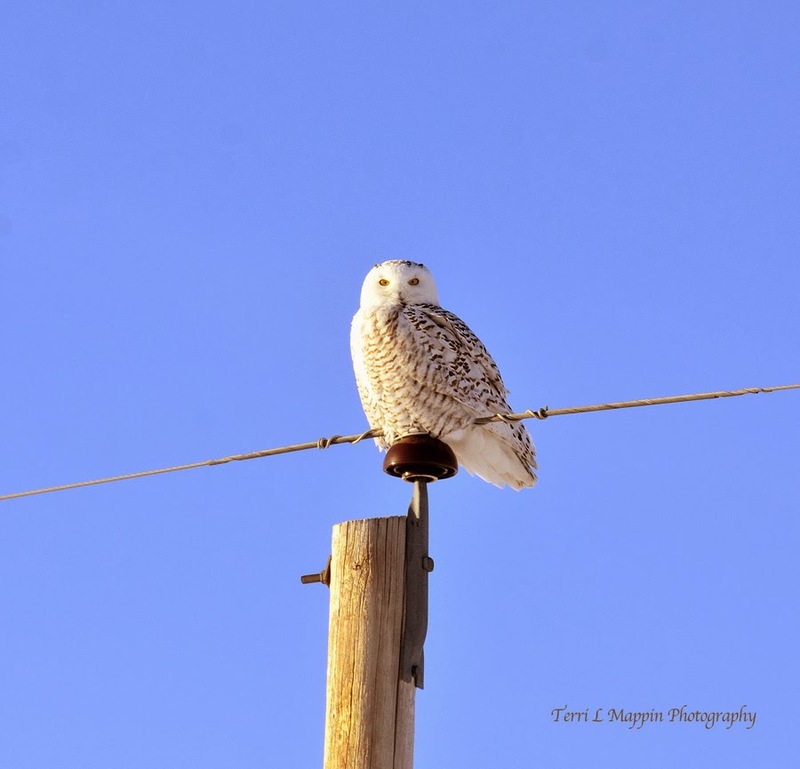 Terri Mappin Photography : Watching YOU! Aaaaaaah! 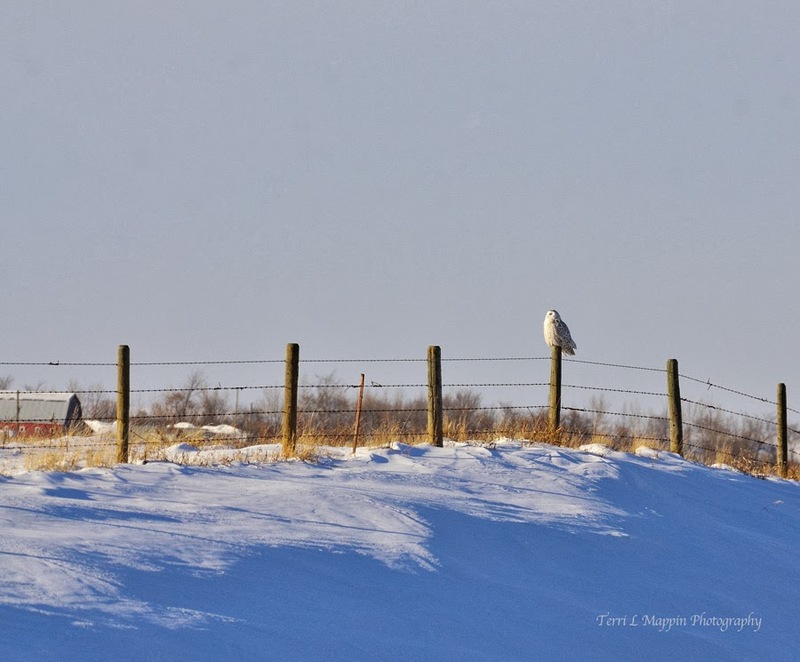 Sweet, sweet Snowy Owls! Always so majestic ... they are captivating to see! Fortunately for the boys and I, we saw a grand total of 10 Snowy Owls today!!! *SIGH* I wish I could've stopped and photographed each and everyone one of them but that was not possible. However, just seeing them is a gift. The sunshine returned and its supposed to warm up this weekend! I would have died! Amazzzzzzzzzing! They are such a beautiful owl! I find them fascinating! 10? Come on! How about sending some down my way! If I spotted 10 in one day, my family would have to send out a search party because I would have been missing for hours following the owls. The rescue team would have to drag me home kicking and screaming. I would be in total bliss though, my body would feel like I was floating in the clouds with happiness! Great timing, once again, Terri! The first photo is a real keeper! All I can say is WOW…..beautiful….amazing….& the sunshine is out too….yea!! 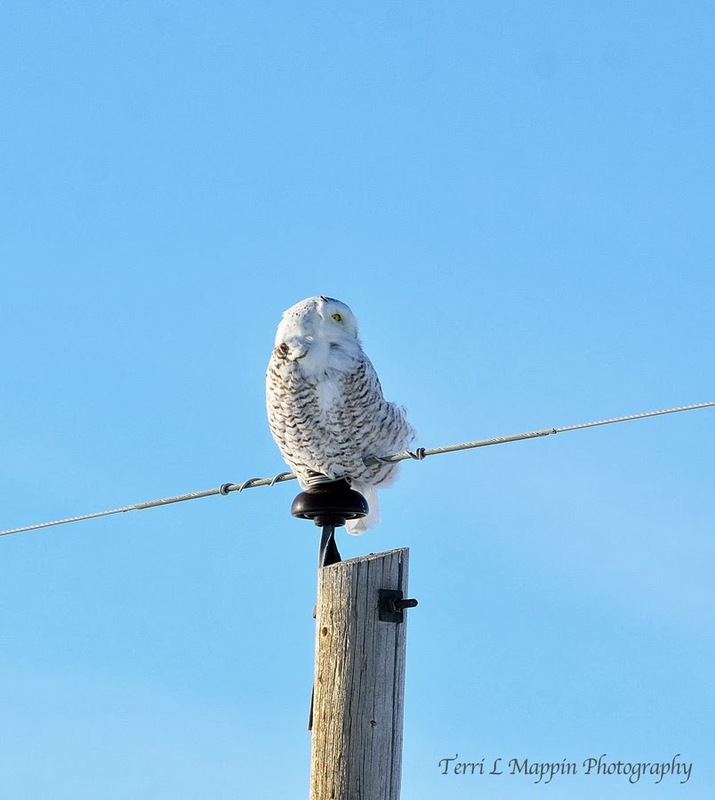 I think the snowy owls were enjoying basking in the sun just as much as humans!!! Great shots Terri. These are beautiful birds. Thanks Matt ... now to just pack my snowshoes so I can catch them in action!!! They truly are a magnificent owl!